How Much Does It Cost to Fix a Leaning Chimney? 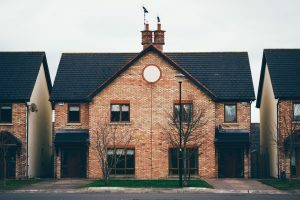 An unstable chimney detracts from the home’s overall curb appeal and can present a danger to your family and valuables. Regular chimney repair and maintenance, chimney repointing, fixing a leaning chimney, and replacement will ensure that you and your family will enjoy years of warmth and comfort. What are the costs of repairing a leaning chimney? A leaning chimney often points to serious structural and foundational issues with your chimney. While regular maintenance and chimney repointing helps, if you have a leaning chimney, it is important to speak with a chimney repair professional today. A leaning chimney can collapse at any time, landing on a house, roof, or vehicle. Additionally, an unstable chimney presents a serious fire hazard and an opportunity for irreparable water damage from precipitation. Take the time to identify the structural problems. For example, does your chimney seem to be leaning away from your house or falling onto the yard? Does it seem to be falling towards your roof? If you do not know what to look for, call our professionals today about an inspection. Chimney failure can be because of inferior footing, water drainage issues, or inferior soil under your chimney. This is a significant problem that needs to be taken care of before further damage occurs. Fortunately, once you repair the leaning chimney with a quality chimney repair contractor, you will enjoy your chimney for years to come. How Much Does Leaning Chimney Repair Cost? Leaning chimneys often point to a foundational issue in the home. The brick pulls away from the side of the house. Expect to spend a few thousand dollars to repair this issue. However, a chimney repair professional will be able to most accurately assess the actual damage done and find ways to repair your chimney within your budget with the best materials. What is Tuckpointing and Repointing? Though the terms tuckpointing and repointing are often used interchangeably, they are actually not the same. Each is a method of adding new mortar joints to a brick structure, but tuckpointing and repointing tools are different. Every homeowner with a chimney, wall, or any masonry will at one time need to fix mortar damage. But does their home need tuckpointing or repointing? Let’s find out. Both repointing and tuckpointing involve repairing masonry by diffing out mortar joints and adding in new mortar. However, when a professional repoints masonry, they are removing damaged joints. Tuckpointing, though very similar, doesn’t always involve repairing damaged joints. Instead, it is a type of pointing using two different colors of mortar. This will change the appearance of the mortar joints. They use different tuckpointing and repointing tools to accomplish this. Which does a homeowner need? The process of tuckpointing was invented in English centuries ago. It was meant to create an illusion that the mortar joints were very fine instead of thick. They accomplished this by sandwiching alternate color between the mortar joints, creating the appearance of the expensive rubbed brick building material. Although this is an ancient term, homeowners still will use it when referring to repointing. Filling in or repairing damaged or cracked joints are the technical definition of repointing. This prevents irreparable damage from leaks, cracks, and water. The structural integrity of a chimney or wall is maintained when the exposure is minimized through the repair. Avoid the eventual destruction of valuable masonry with repointing. How Often Does Mortar Break Down? Does a homeowner need to repoint masonry of their home on a regular basis? While a brick wall can last a century or more, the mortar joints typically need to be repaired every two or three decades to prevent long-term damage to the structure of the home. Cracks and leaks can lead to long-term damage and costly repairs. Therefore, it is very important to continue to repair and maintain the structure throughout its lifetime. The materials that are used for mortar repair are very specific, especially if you want to maintain a uniform look and avoid further damage. Contact a professional to assess the status of your home’s masonry. These are very labor intensive processes. Tuckpointing and repointing are necessary to maintain the structural security. Speak with a licensed professional about how you can best maintain walls, chimney, and masonry, especially for an older building. Be sure to address any mortar joint issues immediately to lengthen the lifetime of your home.